FONDA, NY – The Street Stock division at Fonda Speedway will receive a boost for the 2019 season. FONDA, NY – David Schilling has made his mark as a consistent frontrunner in the Sportsman division of upstate New York. Now, he is set to embark on a bigger challenge. Schilling will move into the Sunoco Modified ranks for 2019 at Fonda Speedway, tackling the headline division at the ‘Track of Champions’ with support from St. Lawrence Radiology and 1-800-GOT-JUNK? The 22-year-old from East Greenbush, N.Y., looks to add his name to the impressive list of Modified feature winners – including fellow St. Lawrence Radiology team members Michael Maresca and Tim Fuller – at the legendary Fonda half-mile oval starting with the Saturday, April 20 Season Opener. The opportunity to advance from the Crate 602-powered Sportsman division to the competitive Modified ranks at Fonda is thanks to the Maresca family and their St. Lawrence Radiology based in Potsdam, N.Y. The sponsorship support allowed Schilling to order a new powerplant from Bedell Racing Engines for the ’19 season. Schilling will install the new engine in his No. 20 Bicknell chassis. He knows there will be a learning curve and hopes to make some starts prior to the Fonda gates opening in mid-April. Schilling is no stranger to success. He has traveled the Northeast extensively since moving from pavement Legend Car racing to the dirt Sportsman ranks. He is a past winner at Albany-Saratoga Speedway in Malta, N.Y., and Bear Ridge Speedway in Bradford, Vt.
Schilling is optimistic about spending his Saturday nights along the Mohawk River at Fonda this summer. Additional marketing support for Schilling’s Modified effort comes from Capital Plumbing, Tri-City Pools, Jam Performance and MRB Darcy DirtWork. The engines fire on the ’19 season at Fonda on Saturday, April 13 with a practice session. Opening Night is slated for Saturday, April 20 featuring the Sunoco Modifieds, Crate 602 Sportsman paying $1,000 to win (thanks to Eric Orozco Racing), Pro Stocks in a ‘Best of 8’ Series $800-to-win event, Limited Sportsman and Street Stocks. FONDA, NY – On the brink of Christmas, Fonda Speedway fans can Deck(er) the Halls. 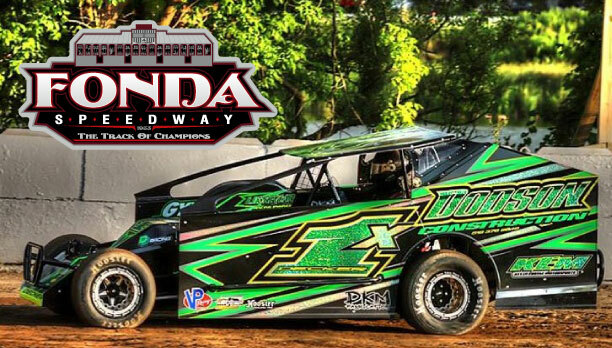 Willy Decker, a Modified track champion at three New York State speedways, has announced plans to call Fonda home during the upcoming 2019 season. The Vernon, N.Y., driver will compete in the Sunoco Modified division driving for the Rich and Donna Dodson team. Decker last raced as a Fonda regular every Saturday night during the Ric Lucia era at the famed Track of Champions. Decker is an accomplished Modified racer in the Empire State. He owns a pair of Modified point titles at Utica-Rome Speedway in his hometown of Vernon (2005 & 2006), the ’05 title at Can-Am Motorsports Park in LaFargeville, N.Y., and the 2007 Brewerton Speedway Modified championship. Fonda, however, remains a favorite for him. With $2,400 to win weekly ($500 for 10th) and special events offering winner’s purses in the five-figures, competing at Fonda was a no-brainer for Decker and team. “It’s the best deal around,” he said. Decker will drive a DKM chassis with power provided by Billy the Kid Performance. The car will be outfitted with the familiar Dodson Construction green. The Dodsons are based just miles from Fonda in Canajoharie, N.Y., meaning they’ll be able to race in their backyard every Saturday. “We’re all looking forward to it,” Decker, who has a small-block victory to his credit at Fonda, bottom-lined. FONDA, NY – There’s a buzz around legendary Fonda Speedway for 2019 as change is in the air with a new management team, new name for the Sunoco-sponsored Modified division and a more relaxed rules package in the headline class. With that said, fans and race teams are gearing up for Opening Night at the ‘Track of Champions’ on Saturday, April 20. Laudy Hoyenga’s Sloansville, N.Y.-based race team will field two cars in the Sunoco Modified division this season, one for Cody Bleau, who has shown promise since joining the Mod ranks a year ago, and a second to be piloted by Sportsman hotshoe Dave Constantino, returning to the Modified wars regularly for the first time since 2009. The 38-year-old Constantino was a two-time winner at Fonda in the Crate 602 Sportsman division last season, while dominating the action at nearby Glen Ridge Motorsports Park in Fultonville, N.Y., where he earned 10 checkered flags. Constantino, who with partners Kyle Hoffman and Eric Mack founded the growing DKM Chassis enterprise – will look to add his name to the elusive list of Fonda Modified winners this season aboard a Hoyenga Motorsports No. 34. Hoyenga came to DKM in search of a driver after Shaun Pangman opted to take a break from the sport. He found the replacement he wanted in Constantino. Constantino’s ride, of course, will be a DKM-built chassis. The team plans to utilize a freshly build 360 cubic inch small-block engine, a program that is budget-friendly thanks to the ’19 rules package. Constantino, the ’13 Fonda Sportsman champ, hopes to deliver success to Hoyenga’s team. “I’d like to win some races for him,” he bottom-lined. Bleau, like Constantino, boasts a successful Sportsman career including the Fonda track title in the ’12 season. 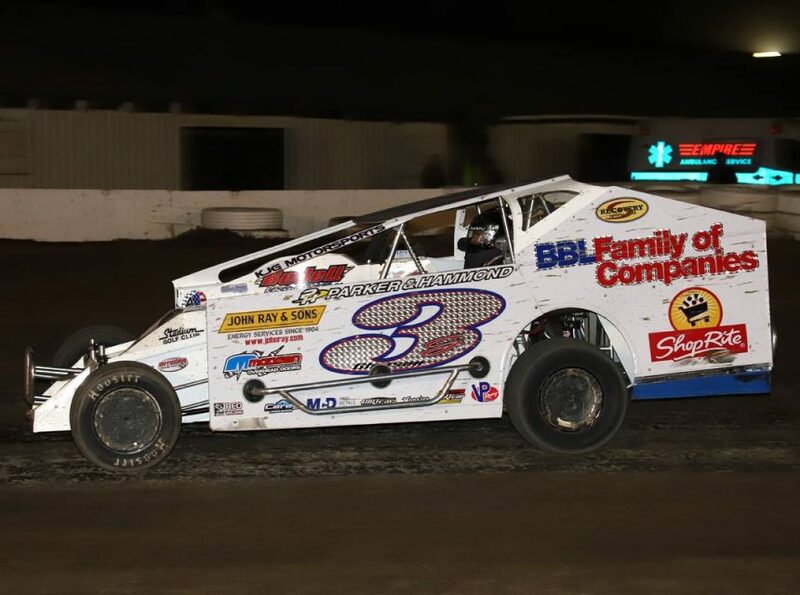 The 27-year-old North Greenbush, N.Y., driver made the transition into the Modified ranks last season and earned a pair of third-place finishes and a sixth-place result in the final standings. It was Pangman who opened the door for Bleau to advance to the Modified wars in Hoyenga’s equipment. Bleau is a hands-on driver and frequently makes the drive to Hoyenga’s shop to wrench on his ride. Like Constantino, Bleau will be utilizing a DKM chassis at Fonda. He will lean on his new teammate for valuable setup help. Aside from weekly racing at Fonda, Bleau will race in many of the Modified specials planned for Glen Ridge in ’19 as well. For the BBL Racing team and driver Brian Gleason, ‘home’ is Fonda Speedway and in 2019, they’ll be back in their comfort zone. Gleason will race regularly in Fonda’s Sunoco Modified division this season for the first time in more than three years, marking a return to the ‘Track of Champions’ by the popular BBL team. Gleason, 24, will forego Friday night action and put his full focus on Saturdays at Fonda in ‘19 piloting a brand-new No. 3G DKM chassis with 360 cubic inch small-block power from Dan Bedell. While Gleason hasn’t run Fonda on a regular basis since ’15, he feels ready for a return to the half-mile oval. Gleason is looking forward to the upcoming season at Fonda with American Racer tires on the cars and engine rules allowing for big- and small-block combinations. “I’m looking forward to running American Racer tires,” Gleason said, reflecting on the success achieved by his mentor and teammate Matt DeLorenzo during the Ric Lucia promotional era at Fonda under a similar rules package. “The majority of Matt’s success at Fonda came with a small-block and American Racers. The opportunity to pilot a small-block was equally appealing. Gleason looks to put his name on the Fonda win list after several strong runs in the past. Gleason will be able to draw knowledge from DeLorenzo, the 2007 Modified champion and two-time 358-Modified titlist with 37 career Fonda victories. Like Gleason, DeLorenzo – who promoted the speedway for a pair of seasons (‘14 & ‘15) – has been absent on Saturday nights for the last three years. That will change in ’19. While he won’t be a point chaser, look for ‘Matty D’ to compete on a semi-regular basis at Fonda this year. The upcoming season brings a fresh perspective for Gleason, who moved into a new home in Glenville, N.Y., this past March. Then, there’s the track itself – and a history of weekly racing that dates back to 1953. “I like the character of the place,” he said. 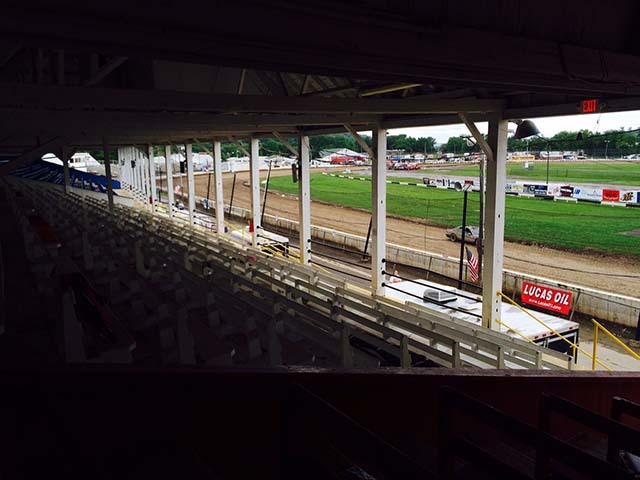 “No matter the surface, the weather, racing is always close and competitive at Fonda. It’s got a ‘short-track’ feel on a big track. Fonda creates races that are unpredictable. There’s just something different about it. For Gleason’s team and supporters, there is a widespread enthusiasm about the change of plans. 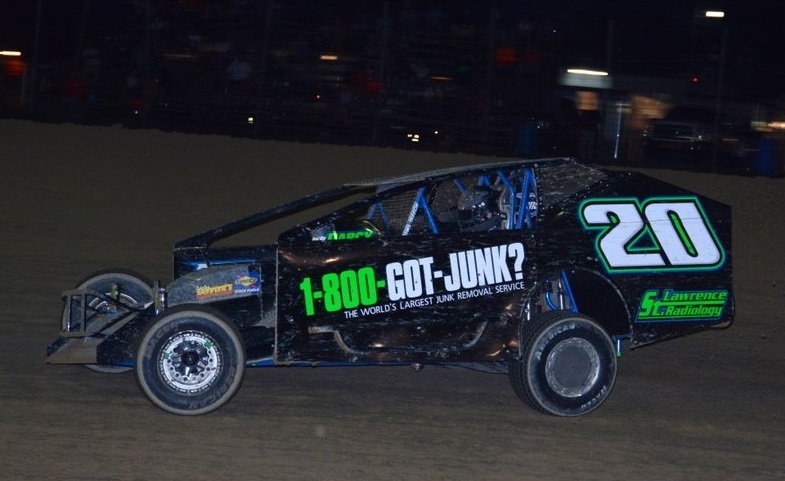 It’s a number that shocked the dirt Modified world on Saturday night. During the annual Night of Champions Awards Banquet for the Bob Hilbert Sportswear Short Track Super Series (STSS) Fueled By Sunoco, Fonda Speedway promoter Brett Deyo announced the 2019 Fonda 200 will offer $53,000 to win for the Sunoco big-block/small-block Modifieds! The three-day racing festival is scheduled for Sept. 26-28, with a rain date of Sunday (Sept. 29) reserved if needed. In December, Fonda management released a preliminary base payout total of $78,675. With the change of winner’s shares, this number will grow even larger with some adjustments through the field. A restructured total purse will be released later in the off-season. There will be a fully-paid B-Main, as well, allowing Non-Qualifiers to leave with money. Lap money and other bonus awards add to the lucrative nature of this event. The first 200 in Fonda history took place on June 18, 1955 with moonshiner-turned-racer Junior Johnson taking the victory under the NASCAR Grand National banner. 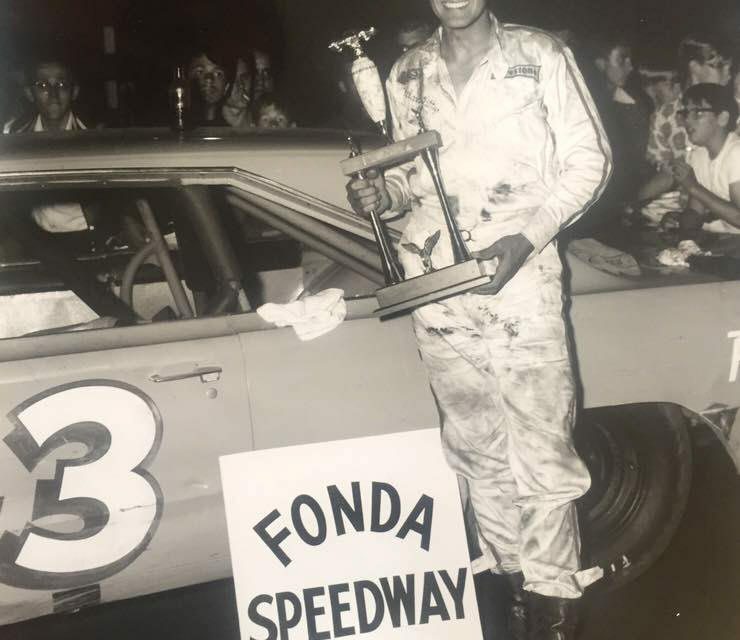 A total of four 200s at Fonda were NASCAR-sanctioned: David Pearson was victorious on July 14, 1966 with Richard Petty scoring back-to-back wins on July 13, 1967 and July 11, 1968. The 200 was run in 1955; 1963-1964; 1966-1970; 1983-1995; and 1997-2002. Camper and trailer parking gets underway on Thursday, Sept. 26. Open practice with incentives will take place on Thursday, as well. Friday (Sept. 27) will consist of Sunoco Modified time trials and qualifying races, an invasion by the 360 Sprint Cars of the Patriot Sprint Tour (PST), Pro Stocks racing for $1,000 to win, Street Stocks in a $500-to-win event sponsored by Roberts Towing & Recovery and Four Cylinder Cruisers. Saturday (Sept. 28) will feature the Sunoco Modified B-Main and 200 and a Crate 602 Sportsman special offering $1,500 to win. Fonda Speedway management has been working hard on an incentive program for the popular Pro Stock division in 2019. Enter the ‘Best of 8’ Series. On eight Saturday nights, the Pro Stock division will race for an increased $800 to win. The dates are as follows: April 20, May 4, May 11, June 8, June 22, July 13, July 20 and August 3. During these eight events, drawings will take place prior to the start of racing for FREE American Racer tires. At the April 20, May 4, May 11 and June 8 events, TWO tire certificates will be distributed each night to help teams build inventory early in the season. At the June 22, July 13, July 20 and August 3 events, ONE tire certificate will be handed out. The ‘Best of 8’ Series is in addition to the previously scheduled 14th annual Hondo Classic on June 29 and $1,000-to-win events on April 27, September 14 and September 27. Fonda Speedway is now the most lucrative track for Pro Stocks in the Northeast! FONDA, NY – When it comes to national recognition on the street or the track, Sunoco is known coast-to-coast. 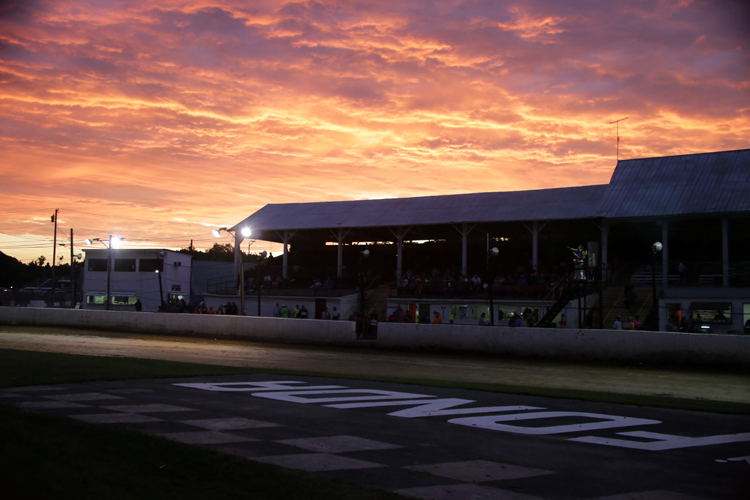 In 2019, the Sunoco Race Fuels brand and legendary Fonda Speedway will go hand-in-hand. BD Motorsports Media LLC of Fonda Speedway and Sunoco Race Fuels, in conjunction with regional distributor Insinger Performance of Dushore, Pa., have announced naming rights for the ’19 Modified division at the ‘Track of Champions’ half-mile oval. For the ’19 season and beyond, the headline division will be known as the Sunoco Modifieds. Sunoco Race Fuels will also sponsor the new Start/Restart zone that will be constructed in the turn three and four infield area. 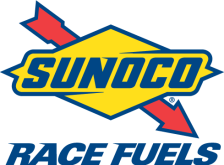 Sunoco Race Fuels will be on sale at Fonda Speedway weekly starting with the scheduled open practice on April 13 and Opening Night on April 20. 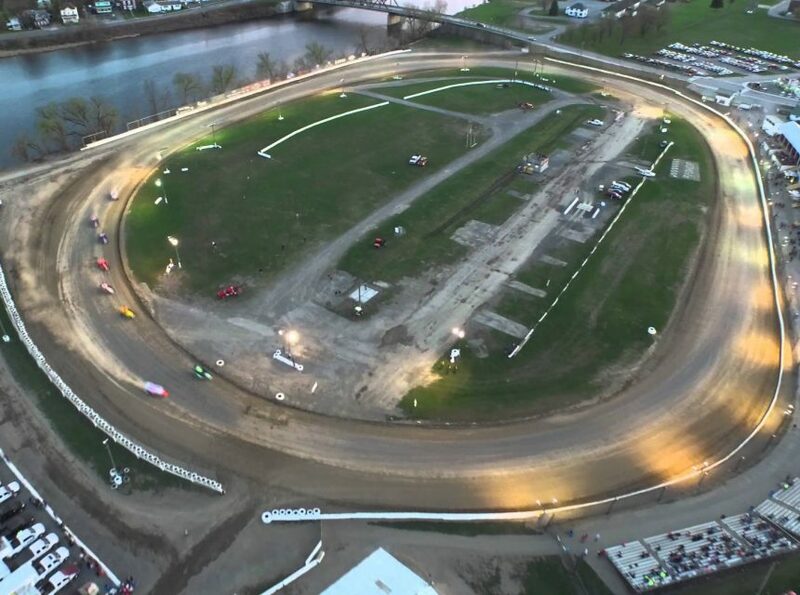 With a new management team under the BD Motorsports Media LLC promotion, Fonda Speedway launches into the ’19 campaign with reduced admission, special events and larger purse structures. It’s truly a ‘win-win-win’ for fans of the Montgomery County half-mile track. New for ’19 is the Fonda Speedway ‘Dollar Day’ scheduled for May 18 featuring $1 admission into the grandstands. This event will feature all classes including the Modifieds. FONDA, NY – Fonda Speedway is in new hands for 2019 and beyond. BD Motorsports Media LLC announced today a three-year lease agreement with the Fonda Fair Board to operate the ‘Track of Champions’ half-mile oval from 2019-2021. BD Motorsports Media LLC operator Brett Deyo now assumes the role of promoter at the fairgrounds facility. Weekly auto racing is planned for Fonda Speedway next season on Saturday nights. A tentative open practice date is set for Saturday, April 13. Opening Night takes place one week later: Saturday, April 20. Racing continues through mid-August before breaking for the 178th annual Fonda Fair. 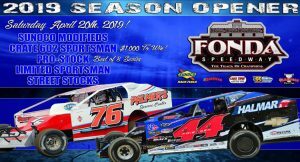 The season will conclude in September with the return of the Fonda 200 for Modifieds paying a massive $20,000 to win plus a full weekend of racing. The 200-lap year-end classic at Fonda has not been contested since 2002. The divisional lineup will include Modifieds, Sportsman, Limited Sportsman, Pro Stocks and Street Stocks. Special attractions will be added to select nights with at least one high-paying midweek event on the schedule. Jamie and Denise Page, who successfully operated I-88 Speedway in Afton, N.Y., from 2010-2016, will return to the auto racing promotion as part of the speedway’s management team. Jamie Page assumes the Operations Manager role, with Denise Page serving as Concession Manager. Speedway staff positions will be filled and announced in the coming weeks. 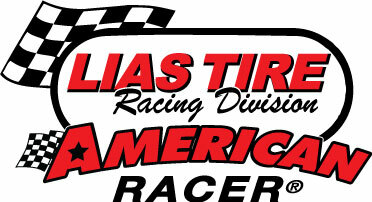 Via an agreement with Lias Tire Company of Indiana, Pa., American Racer will serve as the official tire of Fonda Speedway for the next three seasons. 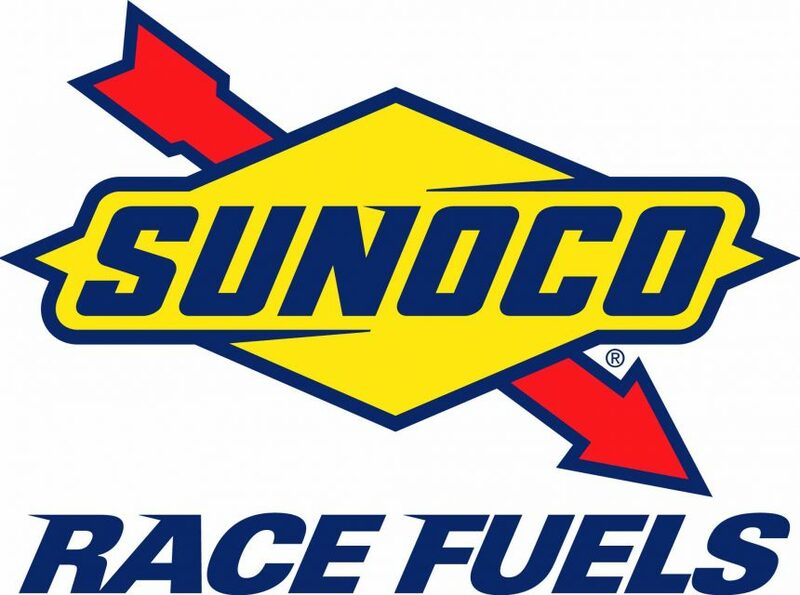 Sunoco Race Fuels will be sold at the speedway. The arrangement allows Fonda Speedway Modified and Sportsman competitors to participate in the benefits of the American Racer Cup presented by Sunoco home-track program. Drivers will be eligible for pre-season tire giveaways, 12 ‘in-season’ giveaways for both divisions, post-season cash awards and tire certificates. This season, the American Racer Cup will distribute $51,000-plus in cash plus hundreds of tire certificates. A breakdown of the American Racer Cup program can be found at www.theamericanracercup.com. Modifieds at Fonda will compete weekly for $2,400 to win. An increased ‘through-the-field’ payout will see $500 for 10th each Saturday night and $250 to take the green flag. The 2019 Modified champion will receive a minimum of $5,000. Modifieds will be classified into two main weight categories: 2,400 lbs. for engines 363 cubic inches and less (max. tolerance: 370 cubic inches) and 2,500 lbs. for engines larger than 363 cubic inches (max. cubic inch 477). No small-block engines larger than 450 cubic inches permitted. Steel-block only with the exception of ‘spec’ combinations to be detailed at a later date. Sportsman will compete for $700 to win each Saturday night and $100 to take the green flag. The 2018 Sportsman champion will race for a $1,500 minimum point title. Both Modifieds and Sportsman will be limited on American Racer compound choices to the following: 48 (right-front); 48 (left-rear); 50 (right-rear) and any American Racer tire (left-front). The Pro Stock division sees an increased $500 to win and $75 to take the green weekly with a $1,000 championship awaiting at year-end. Special incentives for Limited Sportsman and Street Stocks will be in place throughout the season. Neighboring Glen Ridge Motorsports Park in Fultonville, N.Y., has joined Fonda Speedway in signing an agreement with American Racer tires allowing local race teams to compete on back-to-back nights each weekend on the same tires. The compounds at Glen Ridge will mirror those utilized at Fonda. Teams will be permitted an early-season three-week ‘grace period’ to liquidate existing tire inventory. Grandstand admission at the speedway will be reduced to $11 for Adults and $9 for Seniors (ages 65 and above). Kids 11 and under will be admitted FREE. Pit admission will remain at $30 for Fonda Speedway members and $35 for non-members. Emphasis will be put on a ‘family night out’ entertainment with complete programs run in three hours. Efficiency of programs, youth involvement and interaction with competitors will be at the forefront of the promotional team’s goals. Deyo promoted his first event – the Short Track SuperNationals – in October 2006 at age 23. 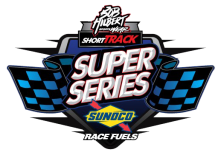 He is currently the manager of the Bob Hilbert Sportswear Short Track Super Series Fueled By Sunoco and operates Georgetown Speedway in Georgetown, Del., while serving as administrator of The American Racer Cup presented by Sunoco. Fonda Speedway is located on the Fonda Fairgrounds at 21 South Bridge Street Fonda, NY 12068 (conveniently off New York State Thruway Exit 28). Look for updated social media information and an all-new speedway website to be unveiled in the coming weeks.